Some restaurants post their menu on the wall or write it every day in chalk on a slate. A few have servers who recite a long list of dishes, especially desserts. But the vast majority of the places I write about have physical, individual menus. The minimum I expect from a restaurant menu is for it to be clean, legible, and easy to steal. I have hundreds of menus on file despite regular purges. The menus I can’t bear to touch, much less take home, are those laminated abominations handled by countless staffers and customers. I recently went to a new ramen counter in East Atlanta Village where customers are expected to circle desired items on a laminated menu with some kind of Sharpie. I watched the employees casually rub off the ink with their thumb between customers and put them back on the counter. Ew! 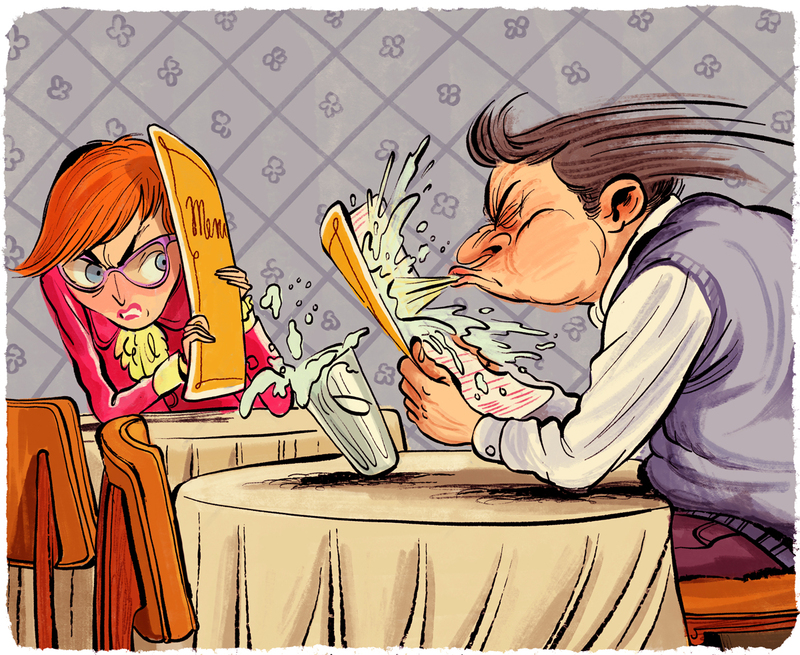 People sneeze on laminated menus. They handle them with greasy paws. What I want on my table is a clean sheet of paper (no need for fancy stock) printed fresh every day—and preferably proofread by someone who knows the difference between a hanger steak and an airplane hangar. I can’t remember the last time I added table salt to a dish in a restaurant, an insult to any decent kitchen. But I am in love with finishing salts, the super-­premium, hand-­harvested flakes or crystals that add texture and a distinctive taste to grilled meats, corn on the cob, cookies, or the occasional pat of butter. 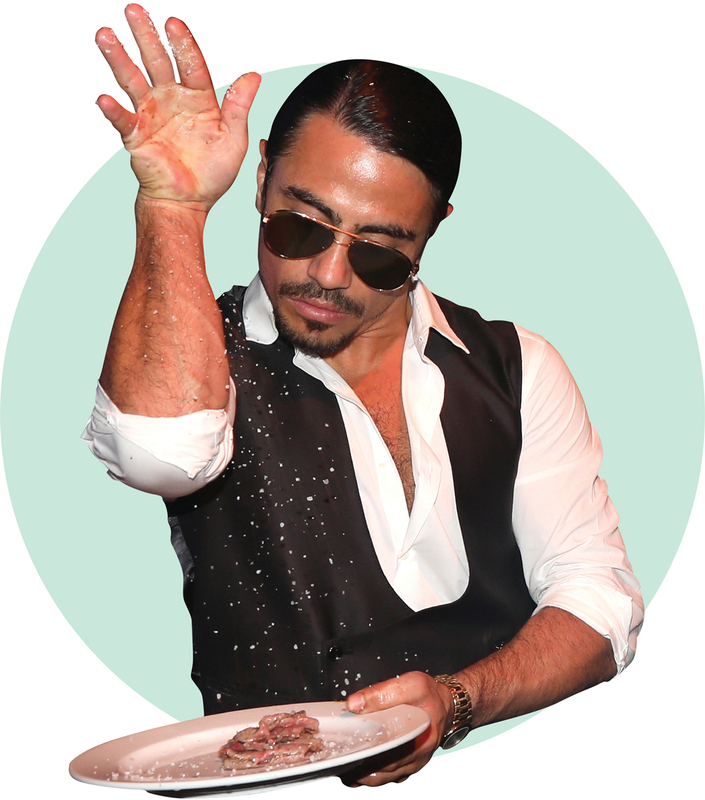 Turkish chef Nusret Gökçe, aka Salt Bae, who recently opened a restaurant in New York, is my soulmate, seen all over YouTube raining coarse salt on steaks by letting it bounce off his impressive naked forearm. I recently practiced playing Salt Bae while having lunch at the Federal in Midtown. Chef Shaun Doty’s European bistro and steakhouse puts tiny wooden bowls of gray Atlantic coast salt on every table. One of the best places to educate yourself about the texture and mineral content of unadulterated finishing salts is Penzeys on Roswell Road, where you can see, smell, and taste the difference between pink Hawaiian salt, slightly damp gray salt from France, and various grades of Kosher salt, including one that comes in luscious flakes.